It is already known that Sridevi is dead and has already passed 36 hours. But her body is still in Dubai. Forensic tests are still delayed. Her blood test report was not given to the forensic department and police. Now the question of how to report this report has now become questionable. Police say it will take another two hours. The police will be able to hand over her body after receiving a forensic report. 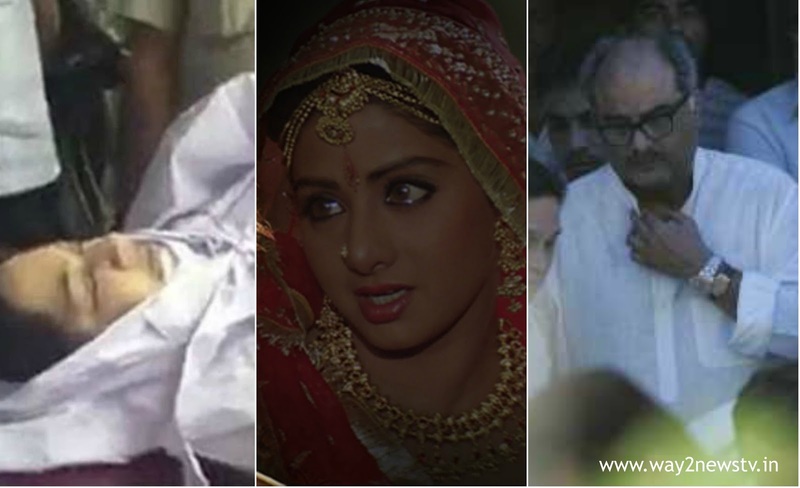 The reasons for the death of Sridevi are based on the forensic report. The Department of Toxicology has already conducted her blood and body examinations. The report suggests that Sridevi is responsible for the death. If death is untrue, then the next inquiry will be made. If that happens, the dead body will be delayed. In fact, according to the UAE regulations, it will take at least 24 hours. But it has already crossed 36 hours. Yet why does not the blood test report give out? Many film personalities have come to Mumbai to pay tribute to the divine Sridevi physicist. Rajinikanth, Venkatesh, Tabu, Farrakhan, Rani Mukherjee, Madhuri Dixit, Nazar, Farhan Akhtar and Ritesh Sidhani came to Anil Kapoor home in Mumbai. Photos taken in this photo are viral in social media. Sridevi went to Dubai for the birthday of Bonnie Kapoor's nephew Mohit marriage and died there. She is arranging to bring her body to India on Monday. There is an opportunity to reach Mumbai this midnight due to the completion of the arrangement of her divorce in Dubai. Anil Ambani, a prominent businessman, has sent her private jet to bring her martial law to Mumbai.